OM International Machine Tools is the Leading Manufacturers, Exporter & Suppliers of Lathe machine manufacturing company, which exports high quality Lathe Machine, Light Duty Lathe Machine, Medium Duty Lathe Machine, Heavy Duty Lathe Machine, Roll Turning Lathe Machine, All Geared Lathe Machine and All Gear Lathe Machine, Special Purpose Lathe Machine (SPM). It is Located at Batala, Punjab - India. OM International Machine Tools is ruling the Lathe Machine Manufacturing Empire with its working experience of almost about 3 decades. It keeps improving its infrastructure and manufacturing techniques whenever it is possible to provide best quality machines and tools. It is producing and exporting high quality Lathe Machine to all over the world. Which can be used in various Industries such as ship building, mining, textile, oil, power plants, paper mills, Rolling Mills, Sugar Mills Off Shore, Pvc Pipes, Cement Industries, Chemical Industries & Refinery. Manufacturer & Exporter of Heavy Planner Type Lathe Machine which is built for high end lathe machining work. Planner Type lathe machines for metal working, wood working, plastic, printing, food processing, welding, roll turning, metal spinning and workshop machinery. We are one of the leading manufacturers and suppliers of Automatic Heavy Duty Lathe Machine. 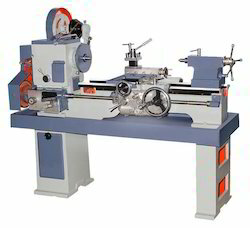 The offered planner lathe machine is made from high tensile steel, which is duly hardened for performing under high mechanical stress. Our supplied planner lathe machine is capable of producing plane surfaces, solids of revolution and helices. We are one of the widely acclaimed manufacturers and suppliers of Cone Pulley Lathe Machine. The offered heavy duty lathe machine is capable of rotating the work piece on its axis, for performing the operations such as sanding, cutting and drilling. 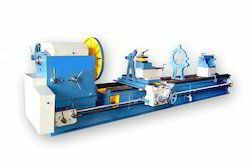 Our supplied heavy duty lathe machine is highly acclaimed for shaping metals, into desired shapes. 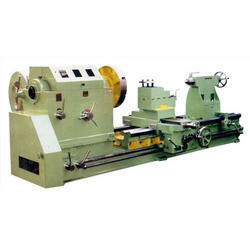 We are one of the leading manufacturers and suppliers of Horizontal Lathe Machine. 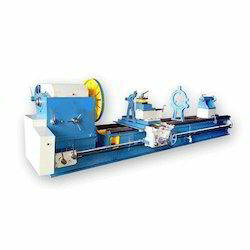 The offered planner lathe machine is made from high tensile steel, which is duly hardened for performing under high mechanical stress. Our supplied planner lathe machine is capable of producing plane surfaces, solids of revolution and helices. 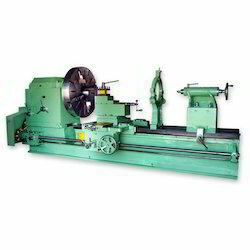 We are one of the widely acclaimed manufacturers and suppliers of V-Belt Lathe Machine. The offered heavy duty lathe machine is capable of rotating the work piece on its axis, for performing the operations such as sanding, cutting and drilling. Our supplied heavy duty lathe machine is highly acclaimed for shaping metals, into desired shapes.